There's something about fall that makes me want to wear a lot of earth tones, but that doesn't mean bright colors can't be mixed in. I've had this dress for a long time, and although it's from the 90's, I've always thought it had a very 70s vibe. That made it perfect for pairing with this awesome vintage printed blazer! 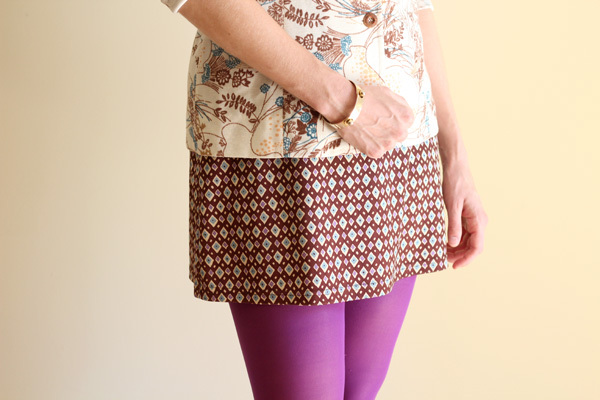 I love how these prints mix together so effortlessly and the purple tights just make it all pop. It would work just as well with jeans and a t-shirt though. Unusual, but versatile, what could be better?